What's better than a delicious cheesecake?! 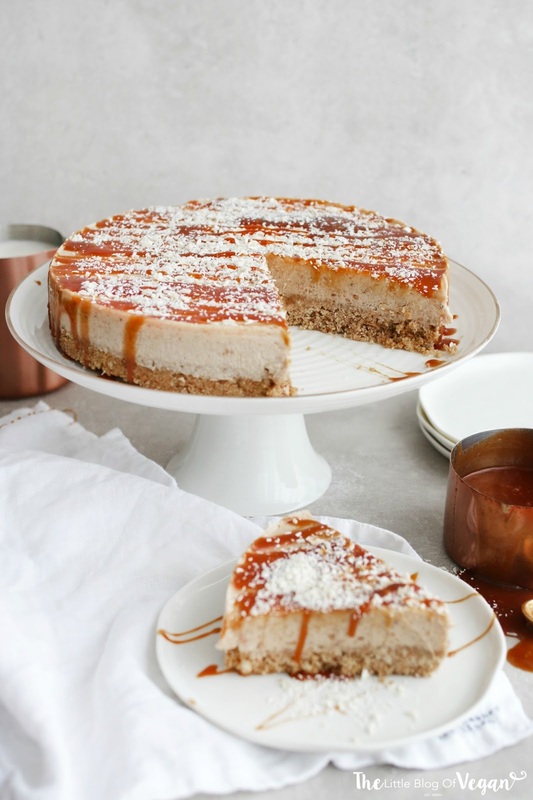 I bring to you a no-bake cheesecake with a cookie base, a creamy caramel & white chocolate cheesecake layer topped with homemade caramel sauce and grated white chocolate. Are you drooling yet? This cheesecake is the meaning of decedent. Even if you're not vegan, you're going to love it! 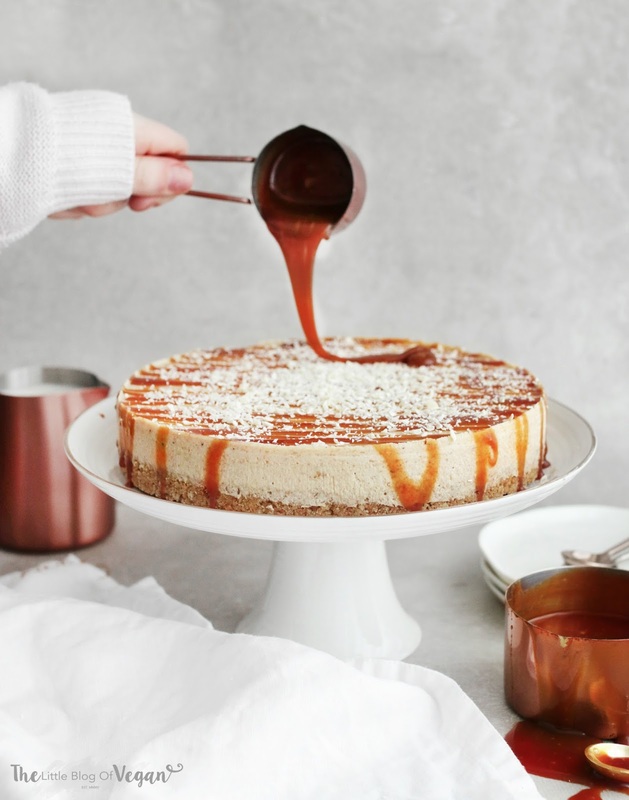 As if there wasn't enough caramel in the cheesecake, I added a generous drizzle of my scrumptious homemade caramel sauce which is literally like liquid gold! It's magical!!! 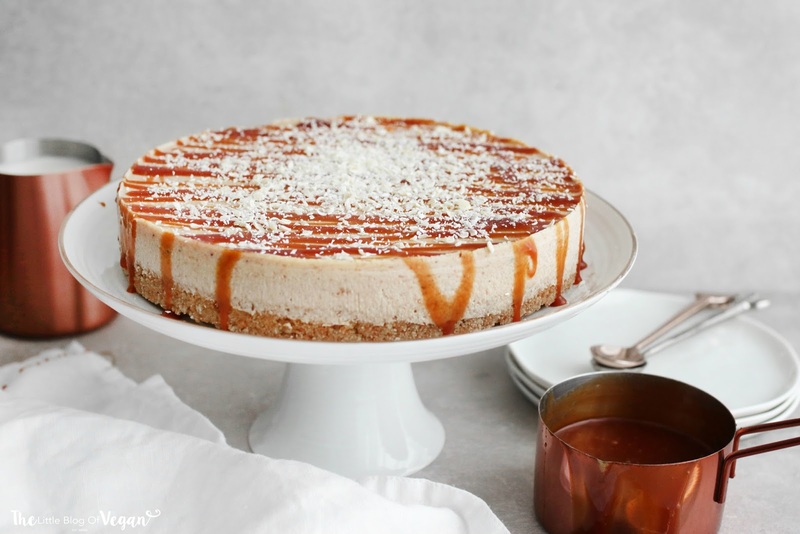 This cheesecake is easy to make and is the perfect dessert to enjoy on Christmas day! It's a real showstopper and would go down a treat. It can be made in advance which takes the pressure off around Christmas, bonus! 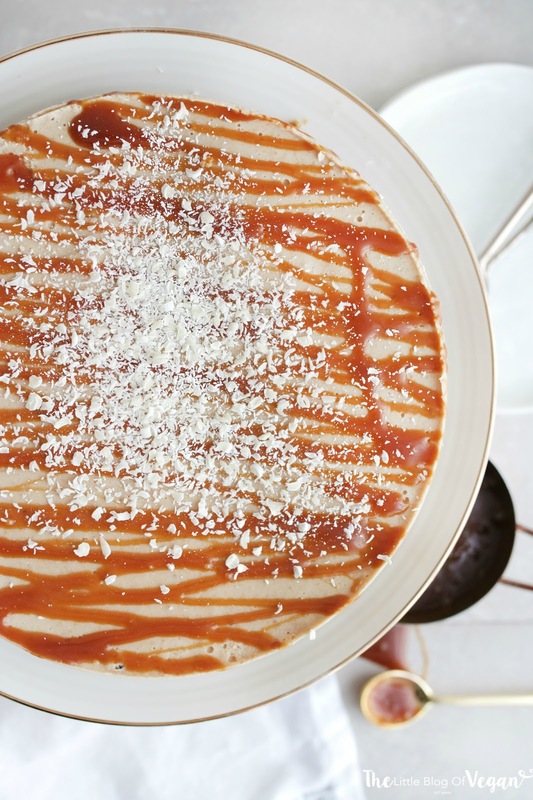 Step 1- Drain the cashew nuts and place them into a food processor/blender along with the coconut cream, melted coconut oil, vanilla extract, melted white chocolate, caramel sauce and water. Step 3- Pour the filling into the base, level with a spoon or off-set spatula and pop back into the freezer to set.